I recently was able to travel to Okinawa in southern Japan for a vacation. Besides doing some amazing sight seeing and snorkeling I was able to try some of the local beer selection, and as a whole I was not disappointed. 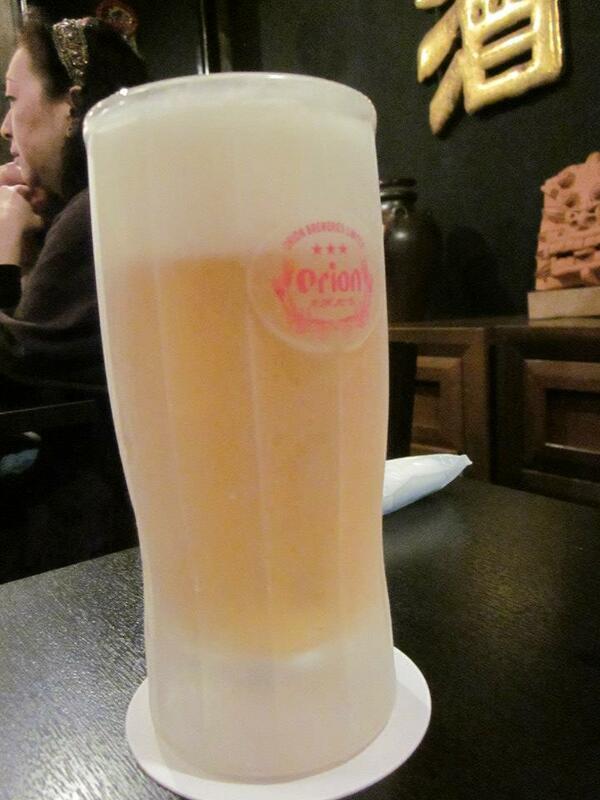 First off I will start with the larger of the beer companies, Orion. As I had previously had it, it was not high on my must have list for the trip. It was however a very drinkable pilsner, I enjoyed a few mugs of it while I was able to get it on tap. Nothing amazing, it reminded me of Kirin probably more then anything else. 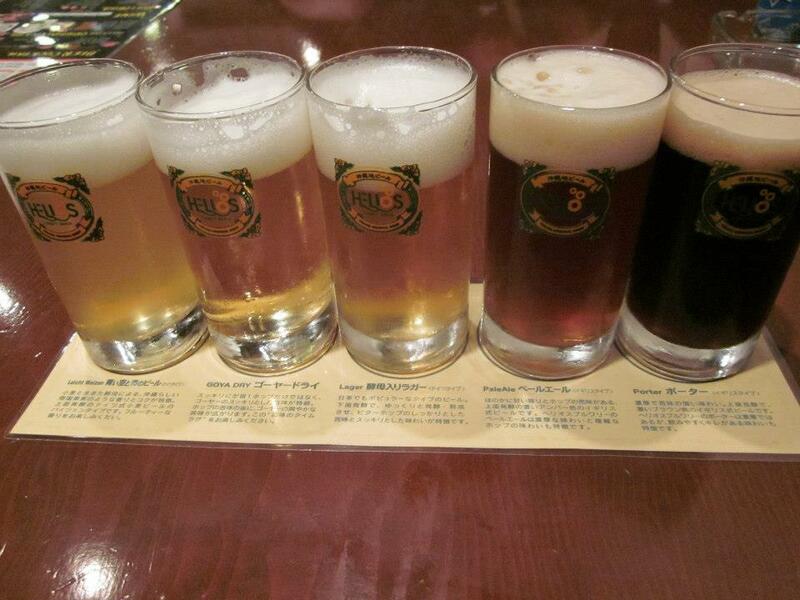 Next I will mention the highlight of the trip Helios Brew Pub. 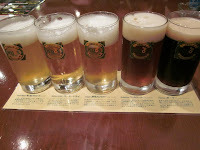 With five very different brews on tap it was a fantastic place to try, the food was good too! I ordered the sampler set, a 1100 yen investment I don't regret. It started with the Blue Sky & Ocean, a German style weizen. Good, but as I have mentioned before I'm not too fond of wheaty beers. The next was a very unique beer, the Goya Dry. As one might expect from a goya, quite bitter. An interesting flavor mixed with the light beer, a bit strange, though not terrible. 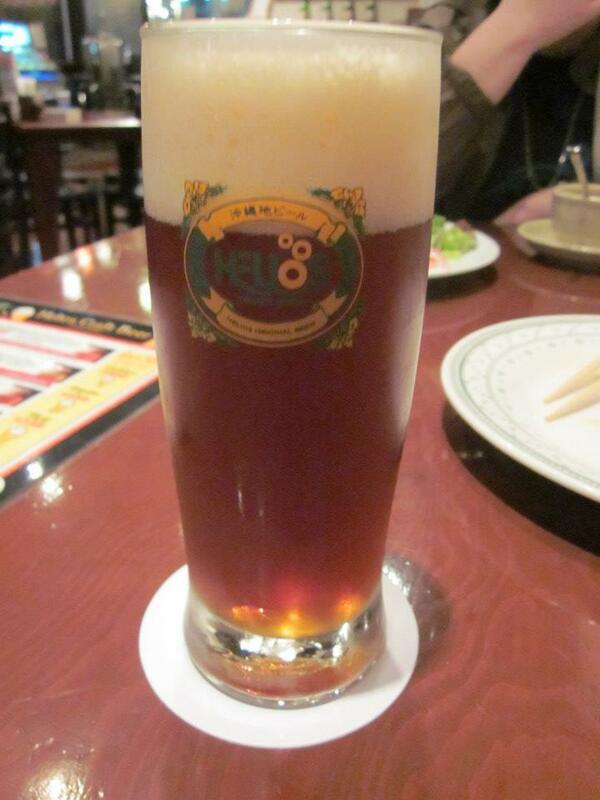 The next was the German Lager, which had a great full flavor, not too strong, but rich. The next was a English style Pale Ale, overall not bad, a great hoppy flavor with a crisp finish . The last and darkest was the English style Porter, a smooth heavy taste, very filling with a slight hint of caramel another good beer. As it is I only ordered one proper beer and choose the English style Pale Ale. It was surprisingly my favorite of the five. is I didn't get to try the (soft) version so sadly I can't compare. 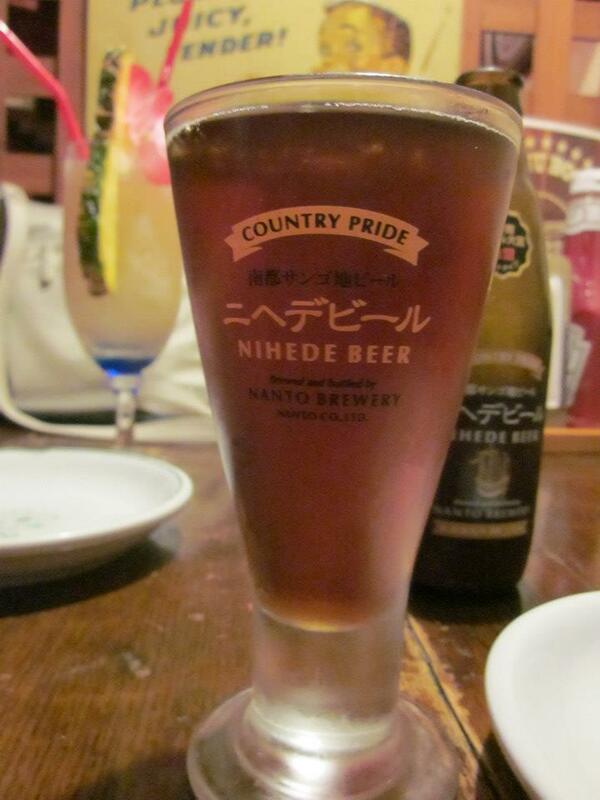 As for the Nihede (hard) It was enjoyable overall if not horribly over priced something like 600 yen a bottle. There was some flavor that reminded me of a brown ale, somewhat malty but, with less body. It was fairly drinkable a slight caramel undertone, as well as a bit of a mild aftertaste. Overall not a loss. As a whole I would say my trip to Okinawa was amazing. I got to see some great sights and drink some great beer. Not to mention I was able to get out of the awful spring weather Akita has presented us. Hopefully in my next update I will be able to review some of the Okinawan sake I bought. No snake in the jar but cool stuff for sure. Good stuff Kelly. I am glad you got to Oki.